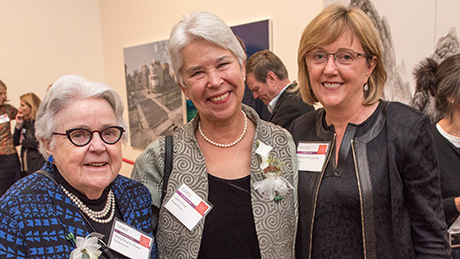 Former Smith presidents Carol Christ and Mary Maples Dunn joined President Kathleen McCartney on campus recently for the dedication of the Carol T. Christ Asian Art Gallery. Watch as Christ explains how her love and appreciation for the culture and art of Asia were fostered during the time she served at Smith. 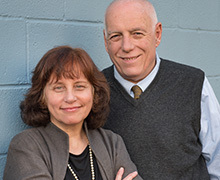 In their new book, Smith faculty members Carol and Philip Zaleski create an expansive portrait of the Inklings, an influential literary group that included C.S. Lewis and J.R.R. Tolkien, who all had the shared experience of serving as soldiers in World War I. Read the full story in Insight, Smith's journal of ideas and research. 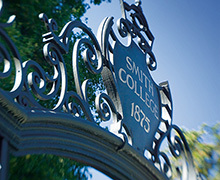 President Kathleen McCartney shared her reflections on the events of recent weeks concerning racial justice at Smith and other colleges and universities around the country. 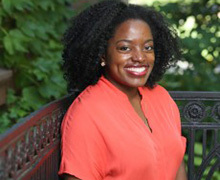 She called on the Smith community to share ideas to ensure that Smith "makes good on its promise of a diverse, inclusive and equitable campus." “Design thinking is a tool kit for exploring social issues and generating ideas,” says Zaza Kabayadondo, co-director of Smith’s Design Thinking Initiative. Read about the basics of Design Thinking and the pilot program, which has sparked an interesting dialogue about the role of design in shaping our lives. Help us raise $3.1 million to support Smith students. Throughout December, all donations will support The Smith Fund initiative that fuels a vibrant campus life and healthy financial aid budget.